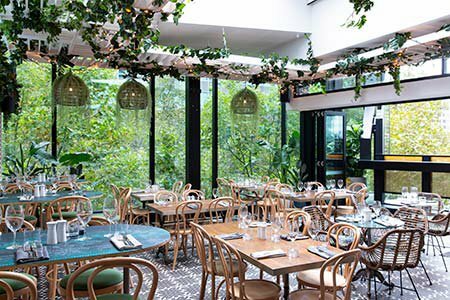 The Green Moustache is the brand new Restaurant and Bar located on the rooftop of Vibe Hotel North Sydney. The kitchen is headed up by former Chin Chin chef Pete Fitzsimmons. Pete has a sustainable approach to menu creation by using seasonally sourced fresh produce to create his infused Australian cuisine. The drinks list is graced by botanically inspired cocktails, premium brews and top shelf liquors from Australia and abroad. The list has been carefully curated by in house sommelier Julian Perrimond and contains over 180 bottles from around Australia and the globe. Visit www.greenmoustache.com.au for more info. Situated on the water at Milsons Point, The Deck Sydney restaurant has stunning views of the Opera House, Harbour Bridge, Circular Quay, Botanical Gardens and the CBD. Freshly prepared products which are handmade on site everyday, using only the finest ingredients. Our own unique coffee roasted by an award winning boutique and local roaster. Délisse's food is prepared fresh every morning with the best ingredients mostly coming from the market or from the country of origin. The Northside Bunker is a delicious café and wine bar attracting a loyal following among the North Sydney business set.